Dr. Pian Chen is a Principal Economist of Monument Economics Group and has extensive experience working with testifying experts and counsel through all phases of complex litigation. With expertise in econometrics and statistics, Dr. Chen develops sophisticated quantitative models to establish liability and assess damages for matters involving horizontal price-fixing behavior, exclusionary conduct, merger analysis, energy pricing, and valuation of mortgage-backed securities and intellectual properties. Dr. Chen leads project teams that perform data analyses and review discovery materials to support clients on deposition, settlement, summary judgment, and trial. Her experience spans a wide variety of industries, including microprocessor, capacitors, chemicals, rare minerals, steel, oil, electricity, construction, agricultural products, finance, transportation, and healthcare. 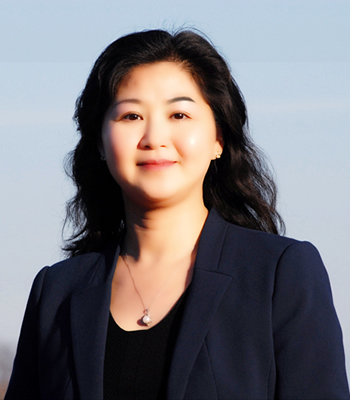 Dr. Chen is an expert in Chinese markets and government regulations. Her depth of knowledge about the Chinese business environment and government’s export control policies has been a valuable asset in litigation and arbitration matters involving trade and intellectual property disputes between U.S. and Chinese companies. Resco Products v. Bosai Minerals Group and CMP Tianjin. In a class action antitrust matter involving refractory grade bauxite imported from China, managed document reviews (in Chinese), analysis of defendants’ sales and cost data, government export control and damages issues, as well as the preparation of expert reports and exhibits. In Re Domestic Drywall Antitrust Litigation. In a class action antitrust matter involving gypsum drywall, managed analysis of liability and damages, industry research, and preparation of expert declaration and exhibits. In Re Evanston Northwestern Healthcare Corporation Antitrust Litigation. In a hospital merger case, managed analysis of merger effect, and preparation of expert declaration and exhibits. In Re: Ductile Iron Pipe Fittings (“DIPF”) Direct Purchaser Antitrust Litigation. In a class action antitrust matter involving ductile iron pipe fittings, managed analysis of defendants’ sales and rebate data and damages calculation. Supreme Auto Transport LLC v. Arcelor Mittal et al. In a class action antitrust matter involving steel products, managed damages analysis, industry research, and large defendant and third party transactional-level databases. In re Vitamin C Antitrust Litigation. In an antitrust matter involving a price-fixing cartel and Chinese government export control, developed advanced econometric modeling techniques to evaluate the effectiveness of government export control and the anti-competitive impact of the alleged defendants’ misconduct. In re TFT-LCD Antitrust Litigation. In an antitrust matter involving a price-fixing cartel, developed advanced econometric modeling techniques to evaluate the anti-competitive impact of the alleged defendants’ misconduct. In Re Urethane Antitrust Litigation. In an antitrust matter involving a price-fixing cartel, developed advanced econometric modeling techniques to evaluate the anti-competitive impact of the alleged defendants’ misconduct. U.S. v. Gosselin World Wide Moving, N.V. In an antitrust matter involving bid rigging, developed advanced econometric modeling techniques to evaluate the anti-competitive impact of the alleged defendants’ misconduct. Case COMP/38.638 Butadiene Rubber/Emulsion Styrene Butadiene Rubber. In a European antitrust matter involving a price-fixing cartel, advised a German consulting firm to develop econometric models to evaluate the anti-competitive impact of the alleged defendants’ misconduct. AMD v. Intel. In an antitrust matter involving exclusionary conduct, analyzed whether Intel was selling below cost and the potential anti-competitive impact of Intel’s rebate program. Financial Guaranty Insurance Company v. Countrywide Home Loans et al. In a financial guaranty matter involving nine mortgage-backed securities, analyzed underwriting quality and loan performance using statistical sampling methods and survival models (e.g., dynamic logit models, log-log models, and competing-risk models). U.S. Commodity Futures Trading Commission v. Parnon Energy Inc. et al. In a financial matter involving potential oil price manipulation, performed econometric analysis of the prices of oil futures and calendar spreads. Performed merger simulation to support the merger between Express Scripts and Medco, two of the nation’s largest pharmacy benefit managers (approved by FTC in April 2012). Investigated large insurance claims databases of WellPoint and Ingenix and evaluated the impact of Ingenix’s data scrubbing methodology on WellPoint’s out-of-network reimbursements. Evaluated the value of battery life for Toshiba laptop pricing in an IP matter using Hedonic regression analysis. Pian Chen and Aaron Smith, “The Nonlinear Multidimensional Relationship Between Stock Returns and the Macroeconomy.” Applied Economics, 45, no. 35 (2013): 4985–4999. “Five Legal Issues Regarding Multinational Corporations” (2001), University of International Business and Economics Journal [Chinese], vol. 5, pp. 42-46. “The Development of Zhuhai Special Economic Zone” (2001) in Dongbin Su, editor, A Brief History of Chinese Special Economic Zones [Chinese], chapter 2, pages 176-248. Guangdong Economic Publishing House. “The Development of Shantou Special Economic Zone” (2001) in Dongbin Su, editor, A Brief History of Chinese Special Economic Zones [Chinese], chapter 3, pages 249-306. Guangdong Economic Publishing House.